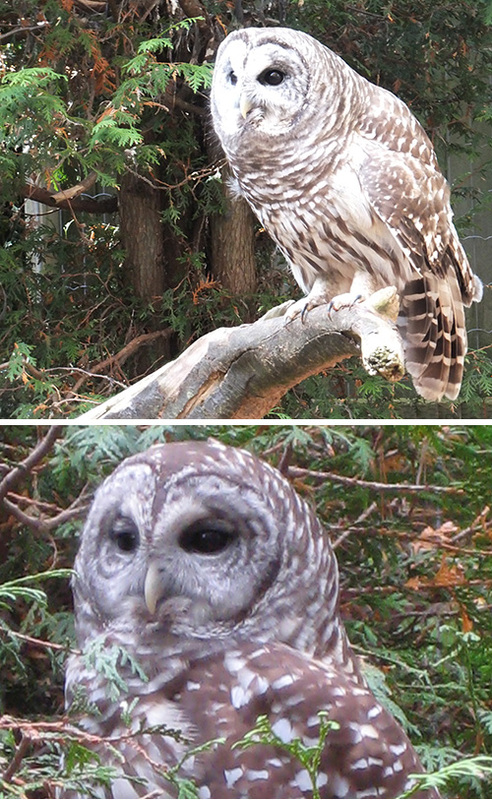 Description: Barred owls are 43-55cm (17- 22 inches) in length. They are greyish-brown in colour with barring across the upper breast and neck and streaks running down the body. Distribution and Habitat: They live in mature forests, preferring mixed woods near water and fields. They prefer to nest in tree cavities, but will use large stick nests of other birds. 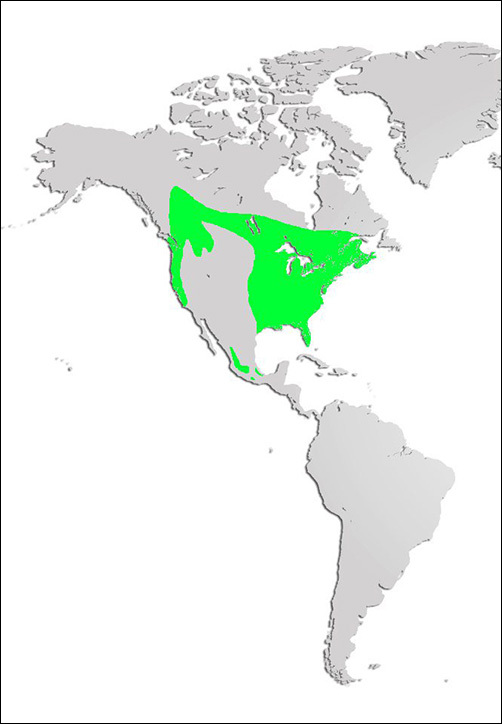 Barred owls are found across Canada, the eastern United States, and as far south as Mexico. Diet: Because they have weak talons, barred owls hunt small prey, such as voles, shrews, frogs, salamanders, fish, insects and snakes. Life Cycle: Barred owls usually mate for life and breed from February to June. They lay between 2-4 eggs which hatch after about 4 weeks. Did you know? The barred owl is Nova Scotia's most common owl. It has a large head, no ear tufts and dark eyes. This owl's familiar night call sounds like "who-who-who-cooks-for-you-all".